The movie 55 Steps opens with a harrowing scene of a woman screaming as she is manhandled, forcibly injected with sedatives, and locked in seclusion on a psychiatric ward. 55 Steps stars Helena Bonham Carter as Eleanor Riese and Hilary Swank as her lawyer, Colette Hughes. Written by Mark Rosin, directed by Bille August, and released this year, the film documents Eleanor’s ground-breaking 1987 Californian court case, establishing that people have a right to informed consent over the prescription of medication. That statement would be commonplace in all fields of medicine... except psychiatry. But until Ms Riese went to court to enforce her rights, Californians admitted to hospital – and who were capable of weighing up the medication’s benefits and risks – had no right to refuse, and no right to be consulted. This wasn’t an easy victory – the movie ends with Eleanor’s premature death, killed by the medication she had been forced to take, and the title refers to Eleanor’s struggle to keep walking up the 55 steps to the court room for repeated hearings after she lost her first claim. 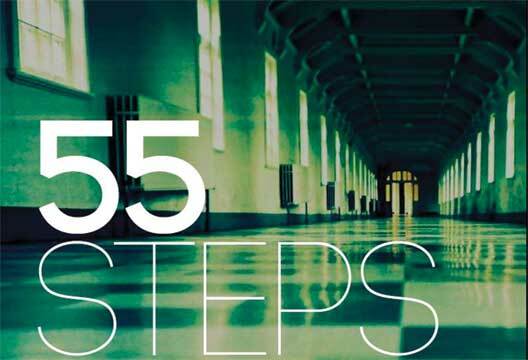 55 Steps is a film about abusive and coercive mental health care systems, an important court case, the adverse effects of psychiatric medication and the contentious nature of informed consent. But it’s also a film about our shared humanity and how we can find friendship in unlikely places, strength of character, and commitment, fortitude, and persistence. It’s in the portrayal of these emotional journeys that Helena Bonham Carter and Hilary Swank excel, and it’s rather wonderful that a mainstream movie starring A-list celebrities highlighted this issue. It seems extraordinary that Eleanor Riese’s fight for her right to exercise her capacity to give informed consent was fought out in my lifetime. But there is also another extraordinary element to this case. Today, the UK’s Mental Health Act (at least as it applies in England and Wales, the law is – thankfully – different in Scotland) still pays no regard to our capacity to understand and to make an informed decision about our care. We can still be detained and treated, against our will and without our consent, even – and this is the important point for which Eleanor and Colette were fighting – when we are judged able to make that decision for ourselves. I’m glad this film was made (and made so well), because the struggle, clearly, continues.